This is a rather short little post centered around the fun of Petzval lenses and the images they create. Back to Petzval portrait testing today. Why? Because some folks out there have extremely strong opinions on one brand being superior to the rest and they never really back it up with anything concrete. Frankly, as I expressed in my previous lens test post, I don't agree with that point of view. Two similar lenses made by any company can be more or less sharp. A lens with no name on it at all can be sharper than your favorite (and I say that with 100% certainty from personal experience). 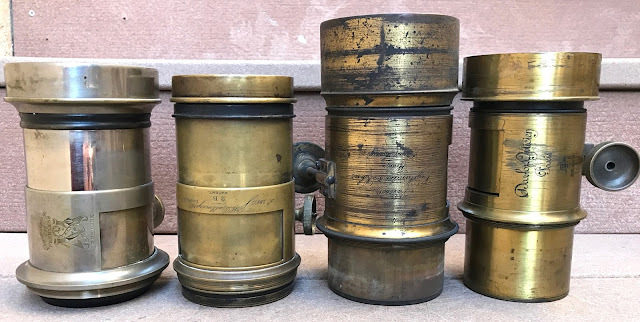 A lens made by a manufacturer that is considered run of the mill among collectors and lens hounds can be just as sharp as a lens with similar attributes by the most renown of firms. One can sell for 1/2 as much as another and the actual performance can be better or the same. Oh, and then there's 'bokeh' argument - "this brand lens has the creamiest bokeh"... Well, let's see about it, shan't we? Since I have 4 lenses with extremely close attributes I thought I would do a blind test and see how many people who claim to be experts in sharpness and bokeh of various lenses will be able to correctly identify which lens created which image. I encourage anyone interested in taking a closer look to download the images I'll post at the very bottom - I will upload them in full resolution there, so they'll likely be too large to be displayed properly in your browser, but you'll be able to download them and zoom in at 100% in Photoshop or Preview of whatever your favorite program is. Here's the result of of today's labor. Test conditions were as follows. 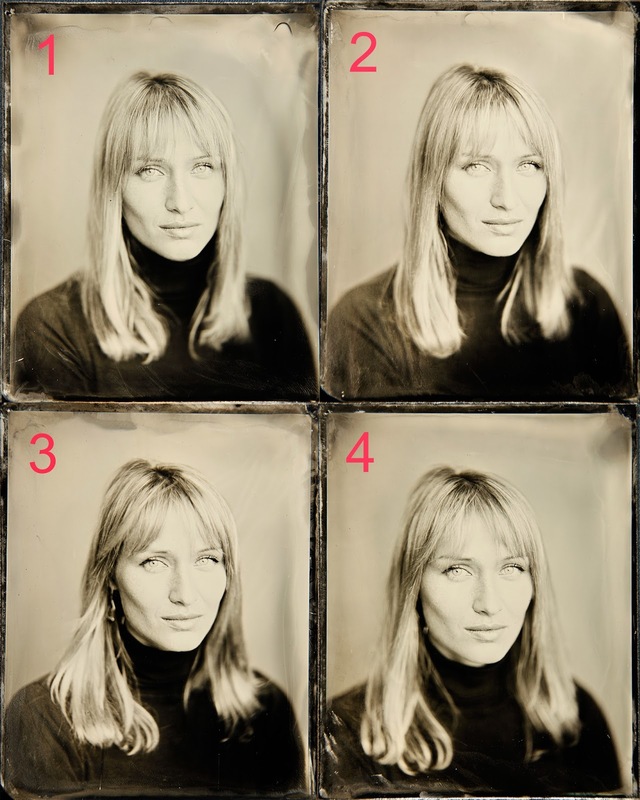 The model was prevented from movement with the help of a head rest and I focused on the left eye using a loupe. I tightened the knobs for the movements on the camera as tight as I could without breaking the knobs - there was no tilt or swing involved, both standards were perfectly parallel. All lenses were shot wide open. All exposures were as close to 2sec as I could do while just using a cap for a shutter. Development ranged between 30 and 40 seconds (I always develop by inspection). Afterwards all 4 plates were copied with a Canon 5DII on same exposure setting, imported in Photoshop, given standard 100% sharpening with 1 pixel radius and 0 tolerance and nothing else was done with them. Thing I was NOT focusing on in my test are - contrast and swirl. Most people shoot portrait on a plain background anyway and yes - all these lenses would indeed have a different amount of swirl should you chose to shoot for it. However the Petzval swirl can be easily controlled and if I did a test the centered around it I guarantee you I could make it just as hard to guess which lens is which. So that't about it. If you care - please enter your guesses in comments below. In about a month or so I will come back to this post and edit it revealing which lens was used for each image. Of course the pictures numbered below are not in the order that the lenses appear above - wouldn't be any fun to guess if I did that, right? All in all I'm not surprised that people went for 1 and 4 - I mean it's true, Voigtlander and Dallmeyer - solid lenses. I am happy to see that people liked #3 as well - I will continue insisting that a good Darlot can be as good of a lens as any out there. Those who have known me long enough are aware of my passion for Rolleiflex cameras. Back before I got deeper and deeper into alternative photography I used to shoot my TLRs all the time. 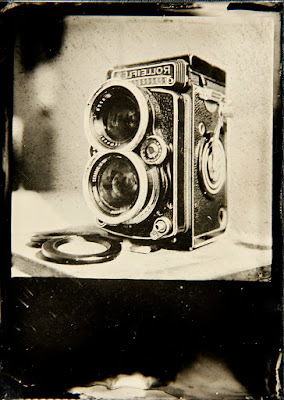 Sadly, ever since I got bitten by the collodion bug of wet plate and then thoroughly chewed by the silver monster of daguerreotypes all my film cameras, including the Rolleis, have been sitting quite idle. A little while back though I did get a nifty accessory called 'sheet film adapter', which was originally designed for single sheets of 6x9 film or glass. I used it to make a couple of tintypes a month or so ago and people suggested that I make a writeup about the procedure. Seeing how I'm concentrating my efforts on perfecting the daguerrean craft I wanted to wait to make the post until I have proper sized plates. I ordered those from Mike Robinson of Century Darkroom (best plates on the market by the way) and waited patiently for the holidays to be over and mail to come from Canada. The plates got here late last week and today was the first day with weather fair enough to do this, so here we go. I decided to bring out the whole gang and let them all play together, so here are my babies - Rolleiflex 3.5F Planar, 2.8C Planar, Rolleiwide and Telerollei. Sitting on bottom left is the sheet film adapter the use of which I'll explain below. First off a bit of warning. Silver nitrate used in wet plate photography is highly corrosive, so be very careful wiping off all excess liquid off the back of your plate before inserting it into the holder. 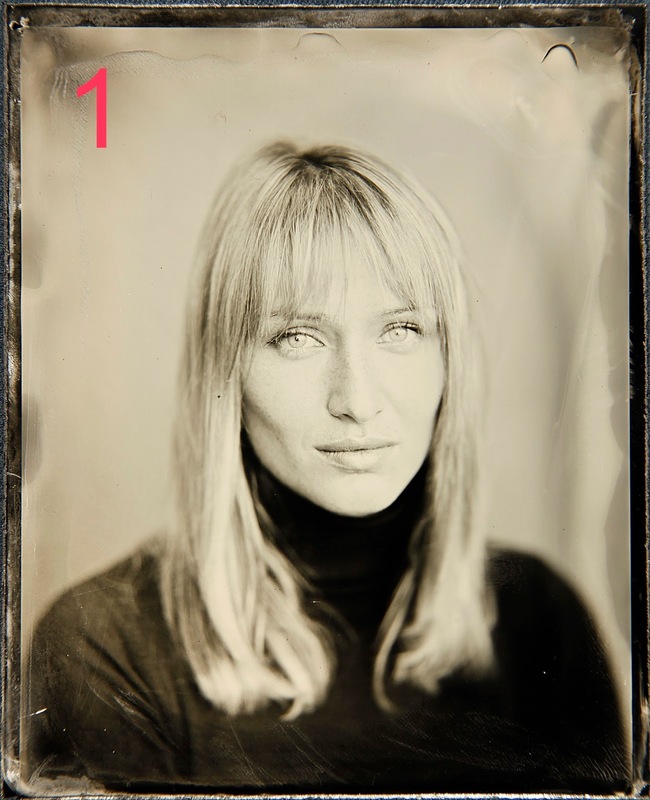 It might also be a good idea to just pick one holder and dedicate it to wet plate only as it will likely begin to deteriorate after a dozen or so plates. It'll last longer of course, especially if you keep wiping it between plates and after the shoot, but it might start looking rather rough. 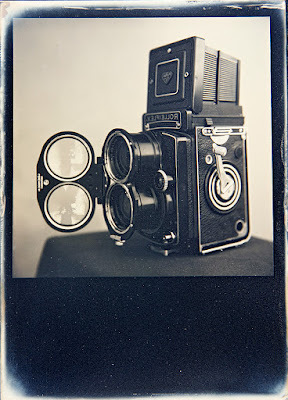 It is DEFINITELY a good idea to take a damp paper towel and after each plate wipe the frame inside the camera where the film usually rests - these holders push the plates right up agains the metal there and some silver is bound to end up on that frame, that's the worst part about this whole procedure. 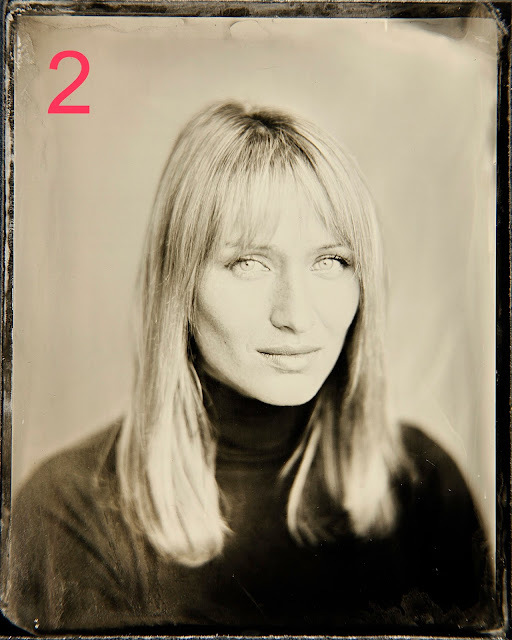 I have heard of people simply dedicating a camera to wet plate only and letting the silver do it's thing with no worries. That's not a bad way to go if you're not planning on using that camera for film ever again - then you don't even have to have the sheet film adapter - just stick the plate right into the camera and off you go. I like my cameras though, so I'm trying to keep them clean. One more note on the holders - originally they are supplied with a thin black metal plate to hold your sheet of 6x9 film flat. Luckily it can be taken out to fit glass 6x9 negatives, which is exactly what you want to do if you want to fit a piece of aluminum for tintypes or a silver plate for daguerreotypes in there. Below is a photo of an aluminum plate sitting in one of the holders and the adapter to take that holder installed on the back of a Rollei. Note that I bent aluminum tape around the two edges which hold it down - that way less corrosion will take place and I can always replace that tape later. Installing the adapter is pretty easy - there's a little sliding lock on top right corner of your back. Simply open the back all the way as far as it will go and swing open that little lock - the back will come right out on that side and then you pull the pin out the socket on the other end of the top edge. Putting the sheet film adapter in is pretty much the same operation done in reverse. One thing I found is that it fit right onto the C model, while in order to put it onto the F I had to take out the dark slide. 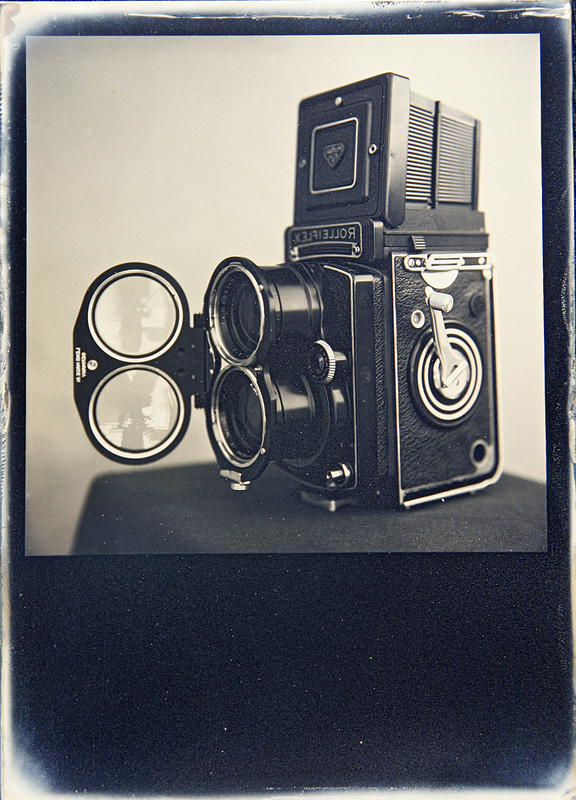 Cool thing about the back - it has a ground glass just like regular grown-up large format camera! To use it you have to set the shutter on B and lock it open with a cable release (oh, and take out that dark slide of course). This allows you for precise framing with no worries about parallax correction and also you can preview depth of field given by any aperture - super nifty! I was using Rolleinar closeup filters, so that feature came in very handy indeed. 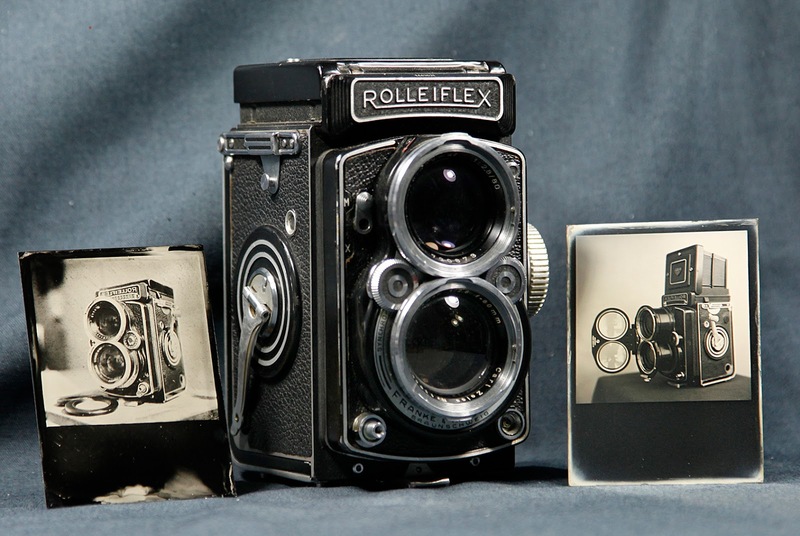 Here's the setup with Rolleiflex 2.8C shooting a Rolleiwide and the plate that was produced. 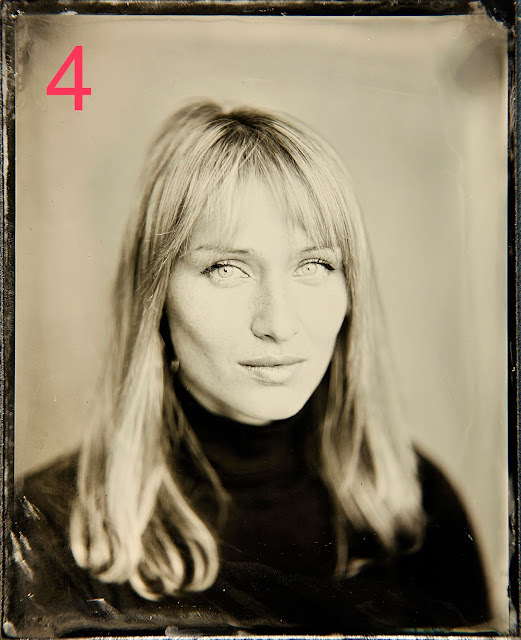 Tintypes don't take too long - 5min and you're done. Daguerreotypes are a lot more labor-intensive... Polishing that silver plate takes a while, then fuming, then development, then gilding... Sheesh! However persistence pays off and I was VERY happy with the result. 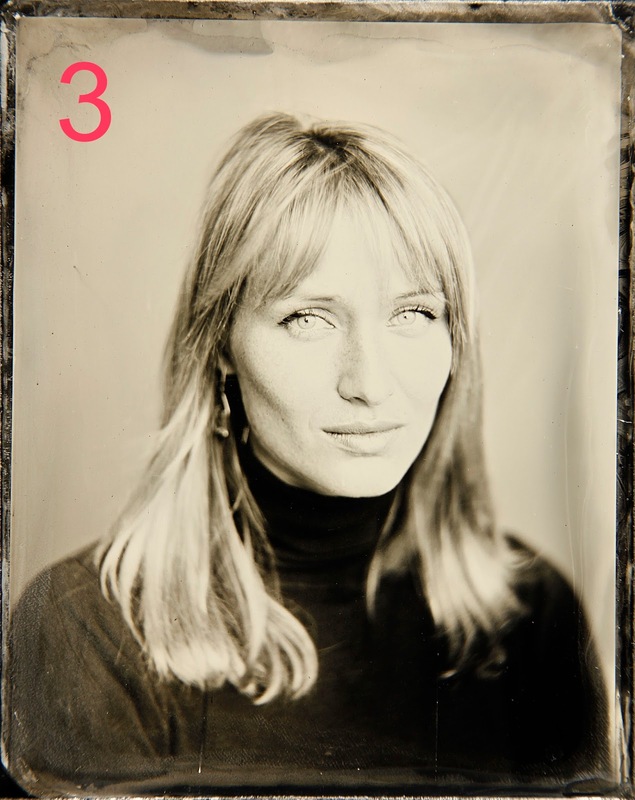 I think this is my cleanest daguerreotype to date! There's a few white specs from tiny imperfections on the plate catching the light off my copy stand and also I probably could have developed about 15sec less to avoid some very minor 'frosting' of the shadows... I also went a little too wide with my flame swings during gilding and so that's where the white edges come from, but otherwise I'm fully satisfied with the image. 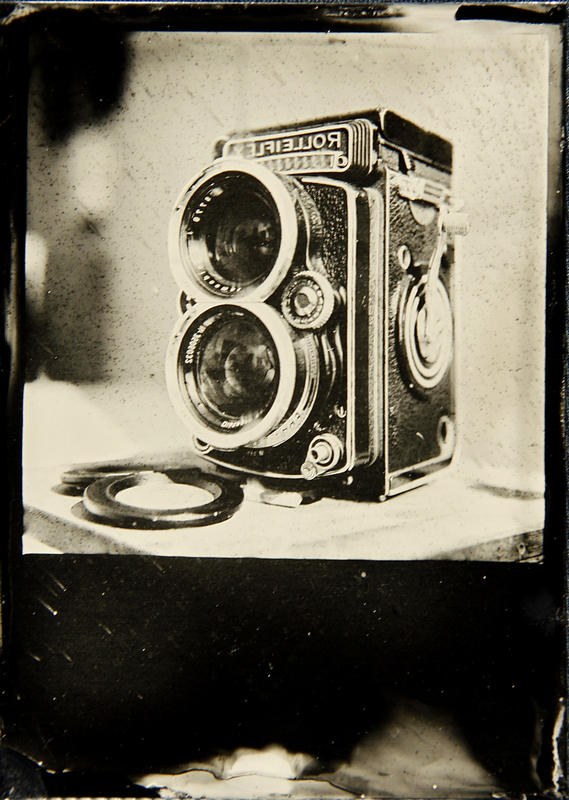 Here is the shot of a daguerreotype plate loaded into a holder, a photo of Rolleiflex 2.8C shooting a Telerollei and the resulting daguerreotype. Oh, one final note - don't forget to pull that center tab before shooting!!! I sure did once and came up with a completely out of focus plate... Here's that pesky little tab - it rotates to unlock and slides inward to drop the plate into the plane of focus and then you pull back on it to bring the plate back into the holder and rotate again to lock it. The above procedure might sound like a lot of steps, but once you do it you'll realize that I was probably a lot more longwinded and detailed than need be. I just like to address every detail possible. Well, I hope you enjoyed this my little adventure. I know I'll be using my Rolleiflex cameras to make a lot more daguerreotypes - 6x6cm format is great and the lenses are sharp as can be. Don't know how many more times I will do wet plate though - a little silver is always going to be left behind and I hate the idea of ruining one of my babies with it... Maybe for wet plate I'll try to find a deal on some beater body with which I have not yet had time to form a personal bond.